You can download the English version of the message template type 2 before the Exercise and print several copies. Also an Spanish version is available. The message itself has two parts: header and content. Both must be sent by radio. The header has several fields: message number of that day, sender, addressee, date and time of message creation. 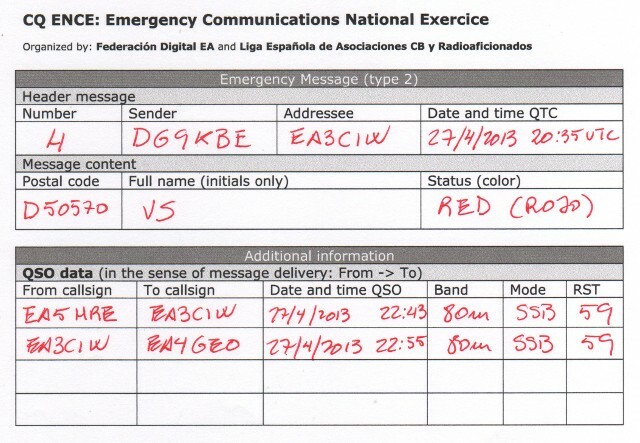 In order to simplify the exercise, the addressee field is fixed to EA3RKF. The sender field should be the callsign of who created that message originally. Notice that the date and time of message creation could be the day before, just the hour before or during the Exercise. 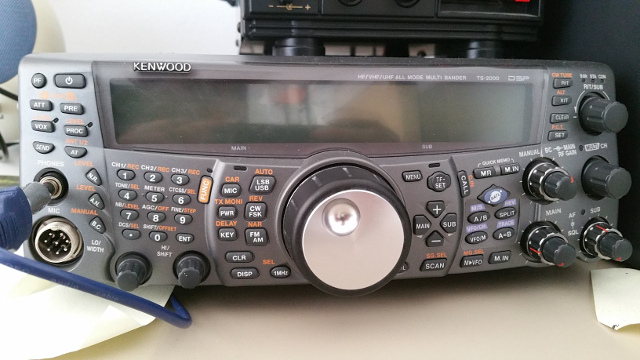 The last part of the template, called additional information, is not sent by radio, but every operator should fill, as they do with normal QSOs in a logbook. enter data into this web form. If you want to send a message, first create one and then call CQ ENCE in the appropriate frequencies during the Exercise until you get a contact to pass on the message. Thanks in advance for your collaboration in the Emergency Communications National Exercise.